Summer 2010 – the trip of my life. Everything was perfect, from the preparation to the departure, from staying in a marvelous 3* San Francisco Hotel up to travelling along the west coast, from sightseeing to partying at night. I have been planning the trip for a long time. My friends and I will have a remarkable journey to the most famous part of America – California. The flights to San Franciso are booked. For days, we were sitting around maps and in front of the internet to find out every single detail worth visiting. Suddenly, somebody recognised that we have not thought about any accommodation yet. The questions were: In which San Francisco hotel should we stay? Nobody has been there so far, so no one knew where the most comfortable and best located accommodation would be. Fortunately, our friend Google was once more a life-saver. 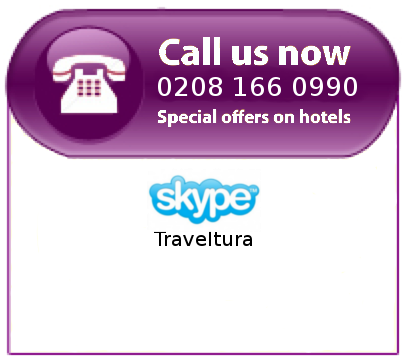 A website called Traveltura.com appeared. We spent hours in front of the laptop fascinated by the wide range of offers. The trip was rescued. We picked out the best and suitable hotel covering most of our wishes. The time passed by and the day for our huge plan – travelling over seas has arrived. The four of us where so excited that we even could not sleep and went 2 hours earlier to the airport to be the first queuing for the Check-In. The time in the plane seemed to be endless, but finally we arrived. The Hotel San Francisco Shuttle service was already waiting to drive us to our accommodation. Exhausted from the flight we tried to catch as many first impressions as possible. The taxi driver turned left and right and went straight again – there was total silence in the car because everybody felt the same: “Welcome to California's 4th biggest city’s hustle and bustle.” After a last left turn we arrived. The hotel’s appearance made us speechless. The first night we just stayed there and enjoyed our hotel to the full. The next day started. Full of energy, after having some breakfast, we started our sightseeing tour which has been followed the other days by more tours as well as incredible shopping tours throughout the city. After each day we relaxed at one of the remarkable parks. The Golden Gate park really drew our attention. It stretches from the centre of the city west to the Pacific Ocean. It used to be covered in sand dunes. Afterwards the park was conceived in the 1860s and was created by the extensive planting of thousands of non-native trees and plants. Unfortunately, our trip had an end. After one week full of adventure we needed to go back home. However, a very bad thunderstorm crossed our intention. The flight has been delayed to the next day. Therefore we had been offered a free stay in a hotel close by one of the hotels airport with a spa area which made our trip complete. My friends and I were talking about that trip for months and already plan our next adventure.